Power cleaning services for fish farming, fishing and oil industry services. Fish Farming. Our range of specialised underwater net cleaners (IDEMA dual head) tackle marine growth on nets up to 20m deep. Our staff are trained in all aspects of the job including sea survival and small boat handling. We have the equipment to clean and disinfect your boats and machinery prior to them moving to another operational area. Completed to Marine Scotland ISA standard with our mobile HOT pressure washers. Fishing. 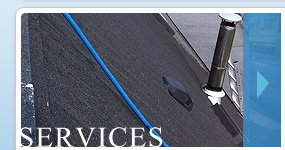 Providing cleaning and anti-fouling services for all boat owners regardless of size. Our brendon power washers are capable of stripping away the most heavy marine fouling and rust quickly, allowing the vessel to be back at sea earning in the least possible time. Fishing gear such as creels etc cleaned and repaired. Oil & Heavy Industries. Fouling removed from all exposed external infrastructure. Technicians trained in height work with certificates for telehandlers, abrasive wheels etc. normally essential for work in this environment. Internal cleaning considered, dependant on specifications of confined space.